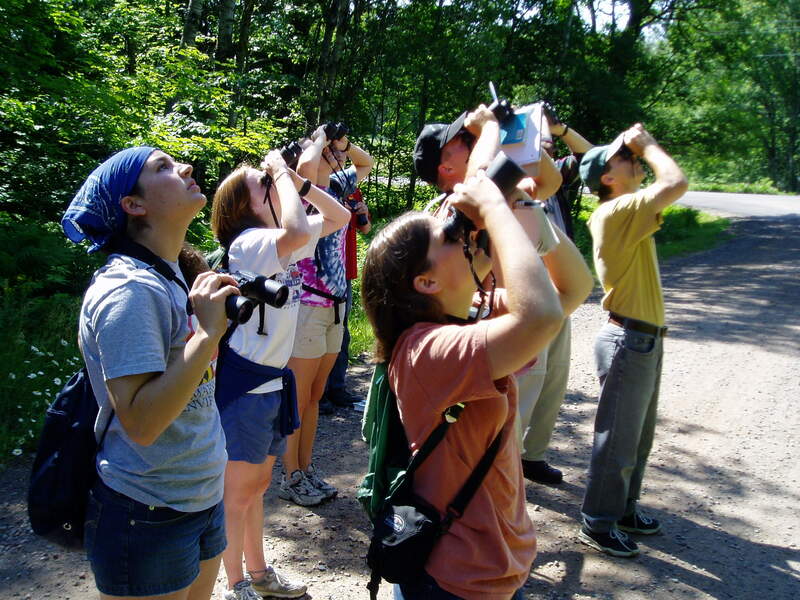 Hunt Hill Audubon Sanctuary is a nature preserve and learning center, open to all, dedicated to fostering understanding, appreciation and protection of the environment. Hunt Hill is a locally run, nonprofit organization located on a 500-acre preserve with mature northern forest, two glacial lakes, bogs, prairie/oak savanna, and marshy shorelines. The main camp features dormitories, a library, converted cedar-sided barn into a full-service kitchen and dining hall, program garage and learning center and farmhouse office. The property includes two designated state natural areas and ten miles of hiking trails. Common species include Bald Eagles, Sandhill Cranes, Loons, Green Herons, Great Blue Herons, many warblers, songbirds, raptors and grouse. Hunt Hill is open to the public and offers adult, youth and family programs throughout the year. Hunt Hill is an ideal spot for reunions, meetings and weddings. Hunt Hill’s dining & lodging facilities can accommodate groups up to 75.